Dota 2's concurrent players continue to grow in 2019. SteamCharts, an API tracker, has established a good overall player base for Valve’s popular MOBA game, Dota 2. Based on the platform’s data, Dota 2 managed to amass over 900,000 concurrent players. In the past two months, Dota 2’s population has marked a significant uptick. The numbers at the turn of the year increased by 8.28% in January alone, contributing to 874,888 concurrent players at peak time. This growth has extended into February, with the last 30 days statistics showing a +2.47% increase in the player base and active participants hitting 903,246. This is not quite yet the record from before when Dota 2 hit 1.2 million players, but still, after a few months of decline, the game seems to be starting the year well enough. In 2018, 9 months were marked by decline, with the MOBA gaining good concurrent player numbers on only three occasions, in August, November and before that, in May. Patch 7.21 has also came with a new leader season, which has incentivized the player base. Apart from that, there are the New Bloom Rewards. 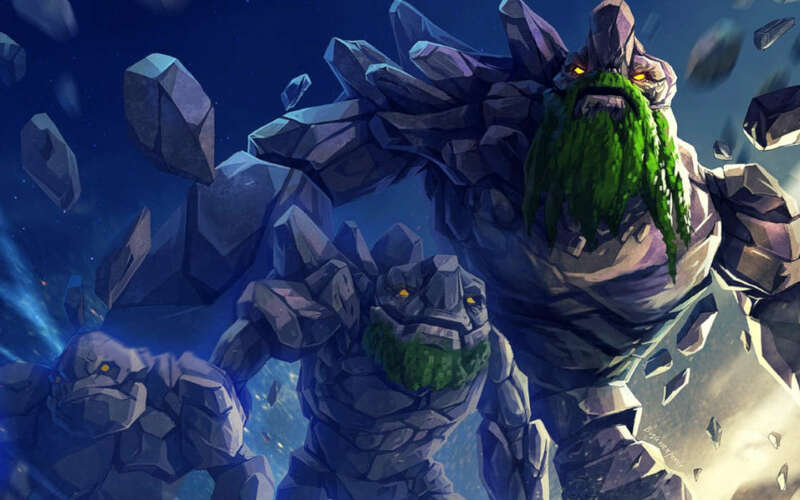 Dota’s numbers are also now seeking a slight increase thanks to Dota 2 Auto Chess. It’s interesting to see how Valve are returning to the very beginning of Dota when the game was a modification for Warcraft III, a game developed by rival company Blizzard. By introducing and experimenting with custom games, Valve can guarantee themselves a steadfast influx of new players, which will bolster the long-term prospect of the player base. However, not all efforts have paid off so far. Meanwhile, Artifact: The Dota 2 Card Game has lost the bulk of its population at a frightening pace. In January, the total player base shrank by nearly 75%, with 6,919 peak players in the month. Fast forward a few days more, and the last 30 days’ peak is even lower. Is Artifact a dead game? Nobody can really tell, but the game has undergone a significant decline in its player base. Dota 2 is understandably far from sharing a similar fate being one of the most popular competitive titles, and certainly the game with the largest yearly prize pools. With a strong start for Dota 2 in 2019, a new leader season and a number of in-game quests, it would be interesting to see if the game won’t mark a stronger year in terms of player base. Dota 2 is starting 2019 on a good foot, with over 900,000 concurrent players logging in to play in January. These numbers could be thanks to several recent changes.